ORLANDO, Fla. - December 11, 2015 - FlightScope, a world leader in the development and manufacturing of 3D Doppler club and ball tracking monitors, golf radars and launch monitors for sports, today announces its exclusive partnership with FocusBand, a wearable, motion based mind-sensing headset that measures and trains your shot routine using real time audio-visual neuro-feedback. FocusBand is the #1 motion based brain training system on the PGA Tour. Through this partnership, FocusBand technology will be integrated into all FlightScope products. "As I see it, FocusBand is essentially the FlightScope for the brain, which is what makes this partnership such a natural fit for us," said Graham Boulton, CEO of FocusBand. "The partnership will further strengthen our already successful Mental Process, Results, & Belief system by integrating the FocusBand and FlightScope technologies into a unified system, providing analysis and feedback on several different aspects of your game." FocusBand analysis will be integrated into FlightScope's all in one tool for its mobile and PC platforms. FocusBand will measure the mental process for shot routines, from the time before the swing through impact, and FlightScope will track the results with 27 different swing and ball flight parameters. Also, using FlightScope's apps, players can instantly view neuro-feedback side-by-side with the radar data, and compare their state of mind with real-time results for enhanced training. 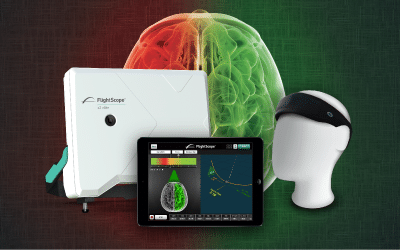 "We've spent a lot of time mastering FlightScope technology to accurately measure a player's physical skills, but we were interested to explore how someone's mental state ties in to their overall game play as well," said Henri Johnson, CEO of FlightScope. "This partnership with FocusBand is the perfect way to help us take FlightScope's technology to the next level and give our players an effective way to explore all facets of their game." FlightScope will debut its FocusBand integration at the PGA Merchandise Show in January 2016. To pre-order a FocusBand with FlightScope integration visit: flightscope.com/en/product/focusband.